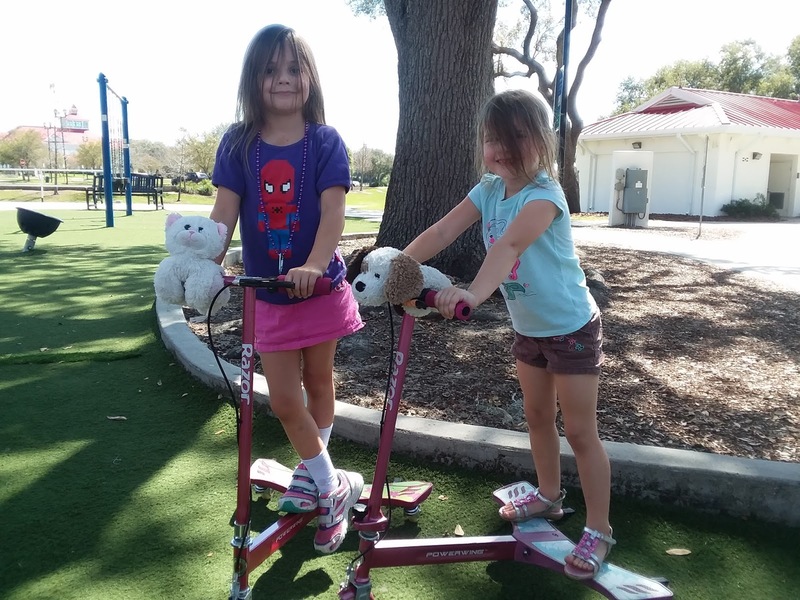 ThemeParkMama: Zookiez they go Anywhere! Slap bracelets were a huge thing in the 90's and now they are making a comeback with kids, Zookiez are plush animal slap bracelets, so they go on almost everything! 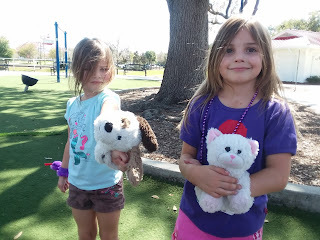 My daughters both were able to pick a Zookie, my oldest took the white kitten and the youngest picked a the patches puppy. 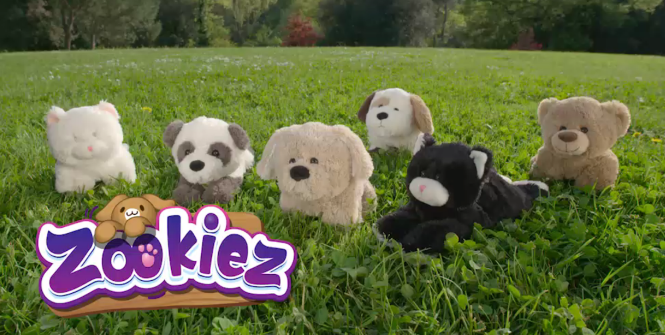 They first noticed how soft and cute the Zookiez were. Each one of them right away took them out of the box and started slapping them on things. They placed them on their babydoll strollers, their bed, and more. We took a trip to the park and my daughters brought along their Zookiez, on the way to the park they slapped them on their wrist, once at the park they placed them on their scooters, the play area bars and more. They each enjoy how easy it is to slap them on and take them off of things. You can purchase Zookiez on Amazon here.